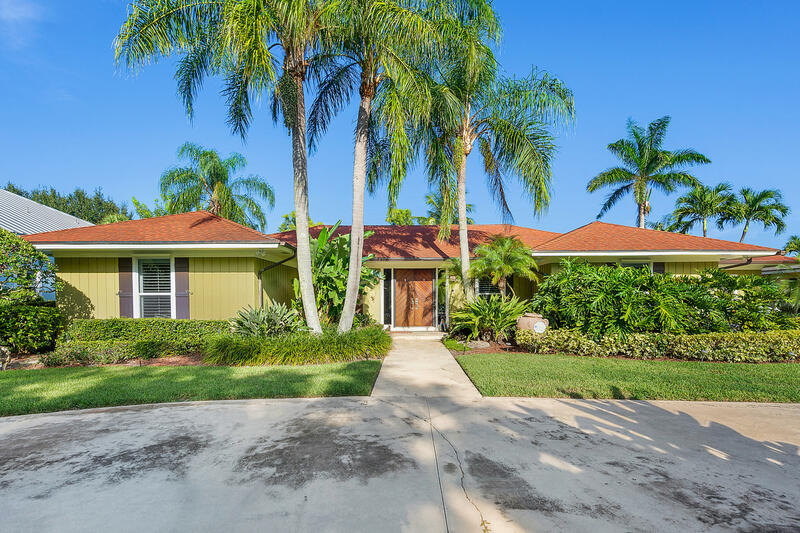 GREAT WATERFRONT LOCATION IN THE HEART OF JUPITER WITH OCEAN ACCESS VIA JUPITER INLET, JUST MINUTES AWAY.This exquisite, custom-built, updated Traditional style home features a spacious outdoor patio, 30-foot teardrop pool and private backyard with lush tropical landscape. On the interior you will find high-ceilings, 3 bedrooms, 3 bathrooms, a huge gourmet kitchen, boasting gorgeous marble countertops and a myriad of upgraded appliances such as Sub-Zero and Kitchen-Aid. This home is perfect for entertaining and enjoying life's simple pleasures. And as an added benefit, this home also includes a 30 foot floating dock and is located approximately 2 miles from the ocean. Waterfront: Canal Width 1 - 80, Interior Canal, Ocean Access Yes 100 Ft. Ft.